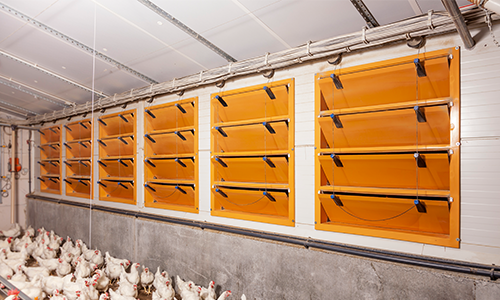 Big Dutchman fresh air inlets are designed for efficient circulation and ventilation within poultry houses. 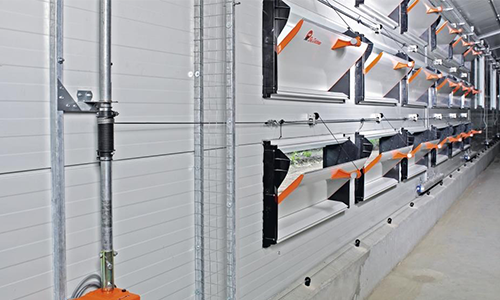 Big Dutchman offers a variety of Multivent shutters for tunnel ventilation, providing additional ventilation for summer in hot climates, removing heat and excess moisture quickly. NBC type fans feature 3 cast aluminum blades powered through v-belts attached directly to the propeller. 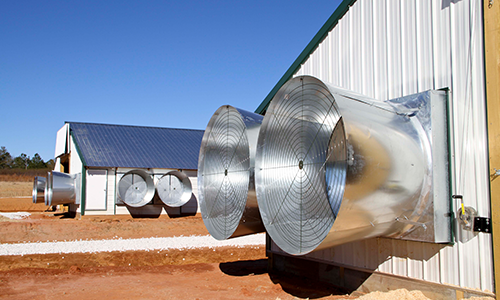 These fans are engineered to provide durability corrosion resistance, and optimum efficiency. 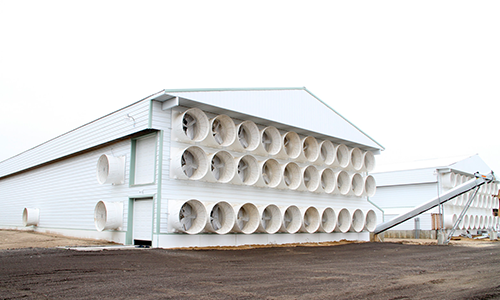 Big Dutchman offers 36″ and 50″ fiberglass fans for moving air out of the barn. 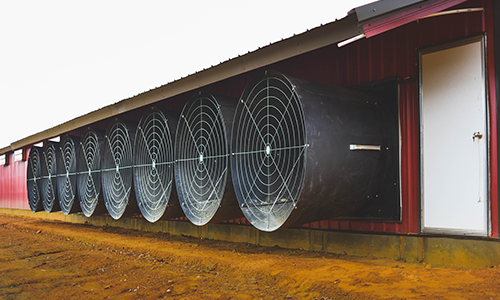 Dependable and corrosion-resistant, the Titan Fan is a smart investment that allows your houses to breathe easy. 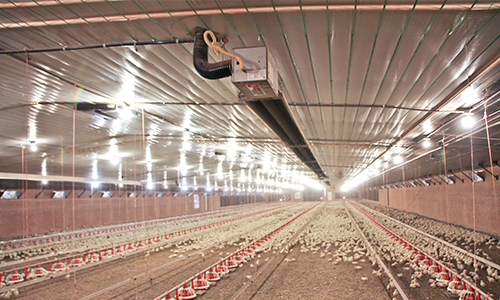 SOLaire high performance brooders are designed specifically for the poultry industry. 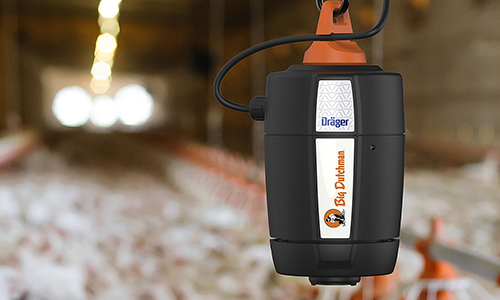 They offer a simple design, with a durable canopy and a dependable one-piece radiant. 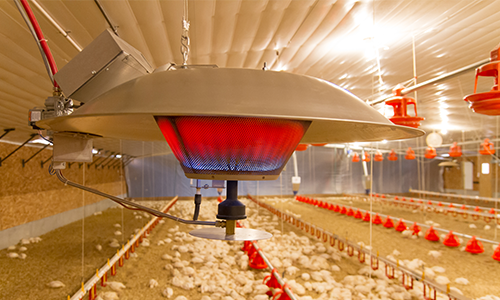 Our BigFoot Tube Heater has a wide radiant throw, evenly distributing warmth farther than other competitive units. 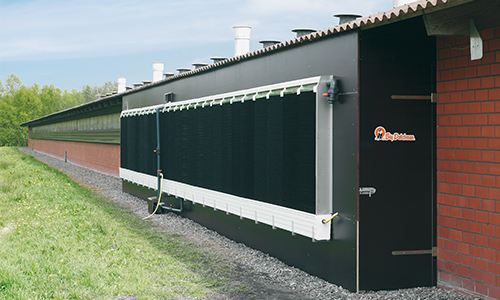 It is more fuel efficient and faster at getting heat to the floor. 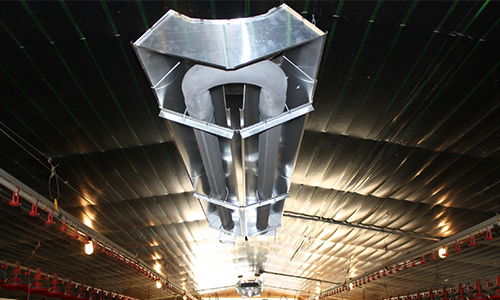 Radiant Tube Heaters are a great heating option for your houses with various options to choose from. DOL 53 permanently monitors the ammonia concentration in the house air, thus permitting the house climate to be controlled based on the sensor’s measurements.